An outstanding Jesuit liberal arts and sciences education. Creighton College of Arts and Sciences offers an education that combines the needs of today’s students with the deeply rooted tradition of Ignatian values. We’re educating the next generation of ethical leaders – and have been since 1878. Our focus on Jesuit values also complements the goals of a liberal arts education, creating an educational experience and a life marked by a love of learning and service to others. 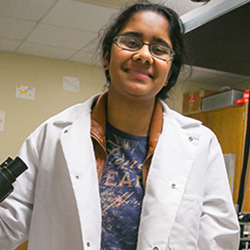 Our students are prepared to consider issues from multiple perspectives, making them well-rounded individuals and valuable members of any team. Our Magis Core Curriculum ensures that all students gain a common set of abilities, in addition to knowledge in their field of study. A liberal arts and sciences degree provides value by preparing students for careers that may not even exist yet – careers for a world where industries expand and contract quickly as technology develops at a breakneck pace. Creighton College of Arts and Sciences prepares students for a life well lived and full of opportunities, no matter what path they choose. 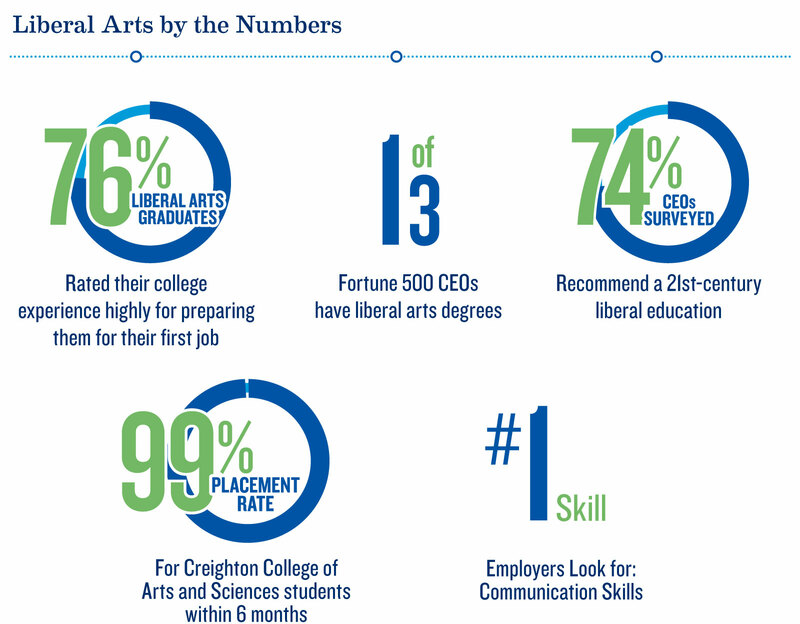 Creighton College of Arts and Sciences graduates report a 99 percent success rate within six months after graduation (working, in graduate school, or volunteering). Creighton is a school filled with passionate people who are dedicated to helping students realize their academic, social, spiritual, and personal potential. Creighton is a place to learn, to achieve, to question, to be inspired, to dream, to be humbled, to worship, to celebrate.